WELL. The countdown is well and truly on now. It's only FOUR MONTHS until the big day and I am officially turning into Bridezilla! Aside from continuing with my pinning frenzy, this past month has seen me tick a few pretty important tasks off the wedding list, including finding (and purchasing!) The Dress (WAAAHHHH! ), ordering our stationery and booking our photographer. My gorgeous friend, Sarah (of Sarah's Lovely Buns fame) has offered to make our wedding cake too, which I am ridiculously excited about! I've also arranged to go to the flower market the morning before the wedding, have booked the most amazing 14th Century Inn for our wedding night and have recruited all of our friends and family into collecting miscellaneous items for my DIY table decorations! 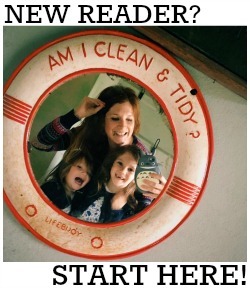 It's all starting to feel real now, which is pretty darn exciting! Our next big thing is to arrange caterers. We originally wanted to have curry - our favourite food! - but we are aware that Indian food is an acquired taste and might not go down too well with some of our guests. Our wedding is going to be very informal so we aren't keen on a sit down, three course meal - plus we are on a fairly tight budget and there is no outdoor space which rules lots of stuff out - so aside from an old fashioned finger buffet, we're a bit stumped for ideas. I'd love to hear all about your wedding breakfasts for a bit of inspiration! Aside from the food, next month is all about sending our invitations out, continuing with the making of the decorations and letting my bridesmaids arrange my Hen Night...... watch out, men with beards! I've been to a few weddings where they had curry, and they were amazing. Agree that not everyone might like it though (which is a pity). Good luck with the dress hunt! Good luck with the finishing off - cant wait to see more! Weddings can sometimes be very stressful to organise but it's all worth it. One of the big worries on the day is you don't want your guests to be bored at any point, this can sometimes occur during the drinks reception! I'm a close up magician and specialise in Wedding entertainment, magic at a wedding is one of the best ways to break ice between guests and get a really strong buzz going! 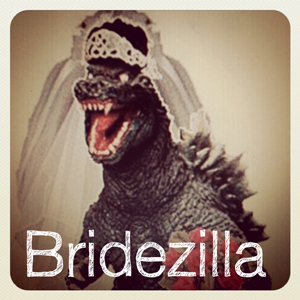 Bridezilla totally sounds funny! No worries, you're not alone. It happens to most brides planning their own wedding. It can be absolutely stressful but when you're almost done and just waiting for the big day, everything will just be worth it. Good luck with the dress hunt. You are going to be just beautiful! I'm impressed! Even with just four months to go, you were still able to pull off a funny blog about your wedding plans. You don't need to worry. Stress and becoming a bridezilla is normal after you get engaged and starts to plan the wedding. You'll get through it and you will be stunning on your big day.